The Long Ride chronicles the historic Immigrant Workers Freedom Ride and follows the progress and setbacks as immigration rights activists continue to seek justice for immigrant workers and push for passage of comprehensive immigration reform. With the Freedom Riders as our navigators, The Long Ride follows the action as events surrounding this controversial issue continue to unfold. The film puts a human face on the issue and examines the human costs as lawmakers consider an overhaul of the U.S. immigration system. 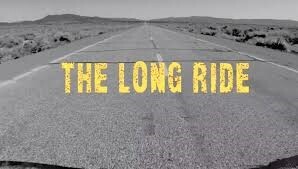 The Long Ride provides valuable lessons about what it takes to build a social movement and bring about positive societal change. UFCW 770 hosts screening of The Long Ride on April 11th at Ricardo Icaza Worker Center in Huntington Park. UFCW 770 Organizing Director Rigo Valdez was in the documentary – at the time he was working for AFL-CIO.